How Gold Helped Iran Avoid Defeat by the U.S. Throughout much of 2012-13, the United States and Iran fought a financial war. With the benefit of hindsight, our friend Jim Rickards calls it a draw. We documented this war in these pages as it was happening. Now Rickards helps fill in the rest of the story during a brief passage in his new book The Death of Money: The Coming Collapse of the International Monetary System. First, let’s backtrack. In March 2012, the United States and European Union beefed up their economic sanctions on Iran, shutting Iran out of the global payments network called SWIFT. Also in March 2012, Turkey’s gold exports to Iran doubled from the month before — and exploded 37 times over the March 2011 figure. India likewise paid with gold for Iranian oil. Iran could then use the gold to buy food or manufactured goods from Russia and China. “The United States,” Rickards writes,” had inflicted a currency collapse, hyperinflation, and a bank run and had caused a scarcity of food, gasoline and consumer goods, through the expedient of cutting Iran out of the global payments system.” Gold had become Iran’s lifeline. By July 2013, the U.S. Treasury had figured that out… and so began stepping up enforcement of a ban on gold sales to Iran — “a tacit recognition by the United States that gold is money,” Rickards adds dryly. With the gold avenue closed off, Iran amped up its transactions in local currencies with banks not subject to the embargo. “Iran could ship oil to India and receive Indian rupees deposited for its account in Indian banks,” Rickards explains by way of example. Inconvenient, to be sure, but it gets the job done. In May of last year, experts believe Iranian hackers broke into the software systems that control oil and natural gas pipelines crisscrossing the globe. “By manipulating this software,” Rickards writes, “Iran could wreak havoc not only on physical supply chains but also on energy derivatives markets that depended on physical supply and demand for price discovery.” Accidental market panic, anyone? 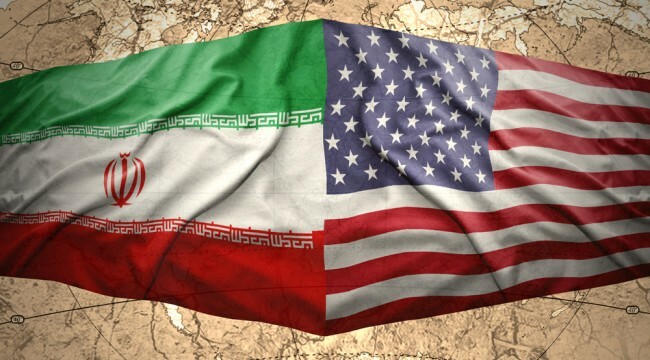 By late last year, Iran and the United States agreed to resume negotiations over Iran’s nuclear program. As part of that tentative agreement, President Obama removed the sanctions on gold purchases by Iran — one of the few ways he could ease Iranian sanctions without the say-so of Congress. Indeed. We’d go a step further. When Iran agreed to resume nuclear talks, a conceit took hold in Washington that “the sanctions worked” — the Iranians had been more or less starved to the negotiating table. Not so, says former Ambassador William Miller, who was stationed in Iran during the 1960s and is in contact with the current regime. “Sanctions only made them more defiant,” he tells the Los Angeles Times. Want proof? Iran put the same offer on the table in 2003 — only to be spurned by the United States. Actually, it was a better offer from Washington’s perspective. Back then, Iran had only 164 nuclear centrifuges; by 2013, it had 19,000. That’s a heck of a lot more bargaining chips to hold once negotiations begin in earnest. P.S. We’ve been covering the ongoing financial war between nations in the Daily Reckoning email editions. But that’s just one small benefit of being a reader of the FREE email edition… Every issue comes jam-packed full of great opportunities just like this. If you’re not getting it, you’re not getting the full story. Sign up for FREE, right here, and never miss out on your chance to get this kind of expert investment advice.